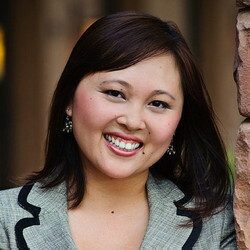 Dr. Phan is an Assistant Professor of Political Science at Hawaii Pacific University. Previously, she worked at Davidson College and the University of Southern Mississippi. Dr. Phan is a social scientist who studies human decision-making and collective action. She is an expert in the areas of American Politics, Political Behavior, Political Psychology, and Race and Ethnicity. Her research examines how emotions impact the ability of groups to overcome collective action problems. She uses a multi-methodological approach which includes conducting original experiments and analyzing survey data. Dr. Phan's primary teaching objective is to promote science literacy and scientific thinking. She employs methods designed to develop students’ critical thinking skills and interest in research. Her aim is that students be not just passive consumers of knowledge but, instead, active users of science in addressing significant social challenges. Thus, in each class, she strives to underscore the “science” in political science. In this way, students become more scientifically literate thinkers and see how the theoretical concepts in the classroom apply to their day-to-day lives.